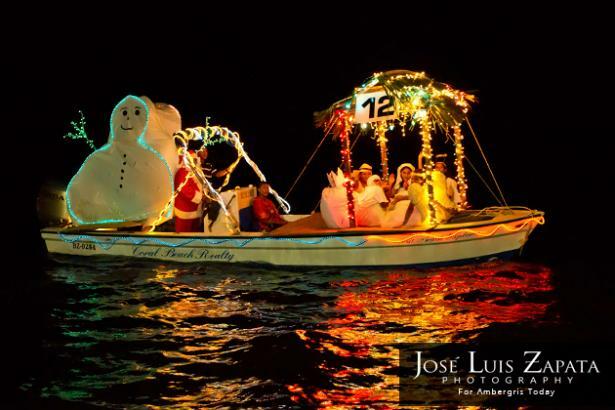 San Pedro has many celebrations and parades with one of the most colorful being the annual lighted boat parade. This has been running for 6 years now and Holy Cross, through the enthusiasm of Vernon Wilson, has a history of doing well. This year was no exception. Mr Freddy put all his creative talent into place, putting together a magnificent creation. The snowman even seemed to wave as the boat bobbed in the still waters. The hard work paid off, and the school took the special award for the Religious category, winning the school $800BZ - well done! 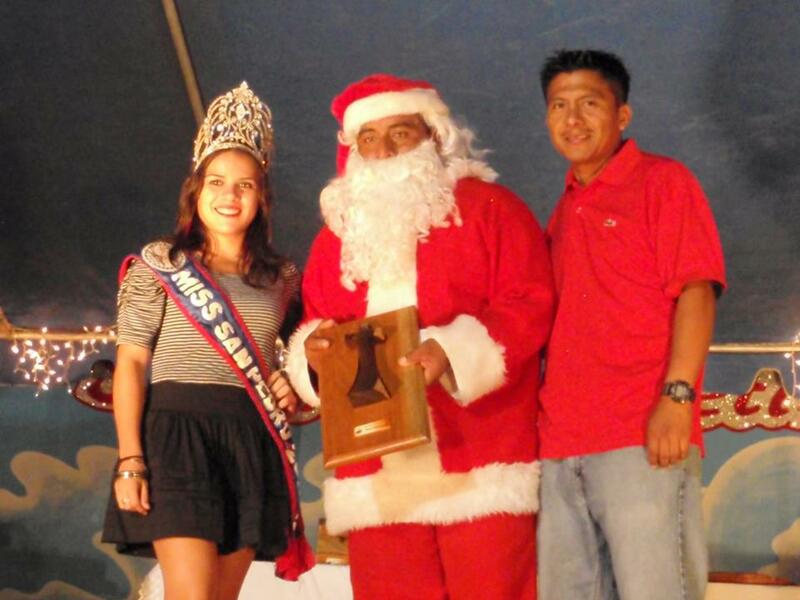 Here's Mr Freddy as Santa and Mr Carlos Coba, our Std 6 teacher claiming the well earned award from the beautiful Mrs San Pedro.